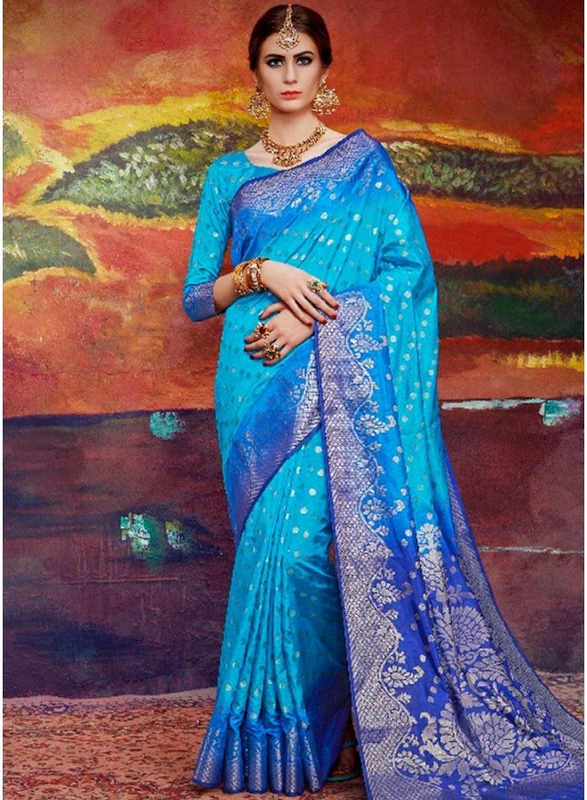 Blue Colour Shaded Printed Designer Nylon Silk Party Wear Saree . This Beautiful Saree Are Blue And Navy Blue Colour Shaded Flower Printed And Lace Border Printed Designer Saree . This Saree Come With Same Colour Printed Designer Bolus . Blue And Navy Blue Colour Shaded Nylon Silk Fabric Designer Function Wear And Party Wear Saree .